Canada is no stranger to long, cold and frigid months. Because of these less than desirable weather conditions, we tend to neglect our property’s exterior surroundings. Your outdoor property, though out in the open, still contribute to your property’s overall appeal and value. It is important for you to take the time and give your exterior property the TLC it deserves. To help you get started, here are a few tips straight from the experts! Make sure to squeeze these in your schedule and enlist the help of friends and family to help get the job done quicker. Also, if a particular task is too tedious or too complex for you, do not hesitate to contact and hire a professional. It is best to invest in quality work now rather to incur damages that may have costlier implications. After neglecting it for so long, give your outdoor property a good hard look to better discern where you should start sprucing up. This should give you an idea on what you should prioritize and if there are any damages that are requiring your attention. Arm yourself with pen and paper when doing this to ensure nothing gets passed you. Take down any noticeable damages so you can bring them to an expert later on for a consultation. It is also a good idea to come up with a list of items you would want to THROW, KEEP and GIVE AWAY. Surely, you have amassed quite a few trinkets and junk over the past few years – now comes the ordeal of editing! Make sure to go through everything thoroughly. Being thorough now spares you from mishaps and surprises later on. Remember that list we asked you to make? Keep that in hand because this is where you will need it. With a garbage bag on hand, make it your mission to annihilate any sort of clutter or junk in sight. It is a good idea to have two bags with you: one for things you would want to give away and another for things you would want to throw. It might be a good idea to label the bags so you won’t get confused. 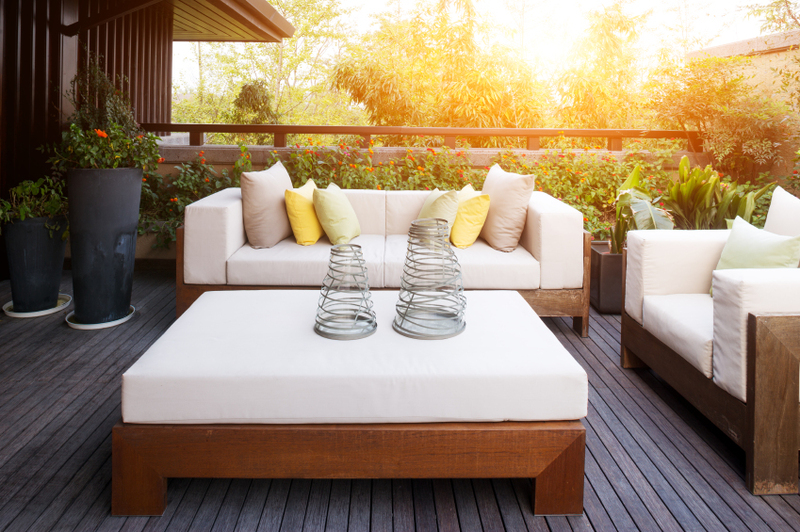 Do not be afraid to update any outdoor space. Whether it is by purchasing new furniture pieces or by giving the walls a fresh coat of paint, just bring in something new to the property. If the costs of upgrading intimidate you, listen up. Upgrading the look of your outdoor property doesn’t have to break the bank. You can save a few bucks by letting your imagination run free. There are a variety of DIY instructions online on how you can upgrade your furniture without having to hire a professional. Do not forget to take into account all the repairs, too. Make sure to have a professional take a look at them and prioritize those that need your urgent attention. Repairs may seem costly but are good investments to make – especially if you have plans of selling your home. Planning to sell your home? Get in touch with our winning team TODAY! Bonnie and Daniel Wan are dedicated and seasoned real estate professionals who can connect you to some of the best properties in the market. Make sure to hire only the best, hire the Right Wans! This entry was posted in Home Decor, Home Renovations, Home Value, Selling and tagged home, house, how to, outdoor property, planning to sell, real estate professionals, take care. Bookmark the permalink.